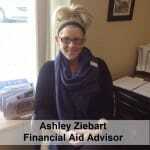 Ashley received her Bachelor’s degree in Psychology at the University of Southern Maine while working as a work study student in the Student Accounts Office for 4 years. Once she graduated, she was hired as a full time employee and continued working in the Student Accounts Office for an additional 5 years. Prior to coming to NTI, Ashley also worked at Emerson College in Boston Massachusetts as the Assistant Director of Financial Aid. Ashley is extremely excited to bring her knowledge and education to NTI, and help assist students in following their career paths. Morgan, formerly a high school geophysical science teacher, comes to NTI with a Bachelor’s degree in Animal/Equine Science and a Master’s degree in Anatomy, Reproductive Physiology and Nutrition from Murray State University in Murray, KY. Morgan was born and raised in Maine, has a varied background in educational experiences from being a member of the only high school team from Maine to win a World Championship at the Odyssey of the Mind World Competition, to having won two world and national championships in Oklahoma City, OK with her horses at the Appaloosa Horse Club World and National Show. Morgan is excited to join NTI where she will be able to help others reach their goals of higher education. When she is not working, Morgan can be found adding to her collections of high heels, cowgirl boots and horses! Emily is a graduate of the University of Maine with a Bachelor’s degree in Secondary Education and a minor in English. Prior to starting at NTI, Emily worked at Penobscot Job Corps Academy helping students achieve their educational goals. She was also employed at the Hilton Garden Inn as Guest Service Manager, where she gained extensive customer service experience. 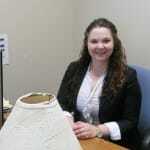 Emily was born and raised in Maine and is very excited to start working at NTI. 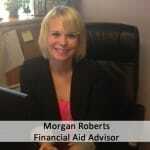 She’s looking forward to helping serve students with the financial aid process. I chose NTI because I need to have my training quickly because I have a family of five kids. I needed quick training to get into a trade. Even before I graduated from NTI, I received a job offer from Pine State Services.